This is a book that I’ve been meaning to read for literally years. I read the first two, and always put off the next (and up until recently, last) one in the series. They move slowly and when I’m busy I don’t have that kind of patience. And I heard that the ending was bad, that he was planning to write a fourth one and they way the third ended was unsatisfying. When I saw that The Girl in the Spider’s Web had come out, I knew I was out of excuses. It was time to read this one. 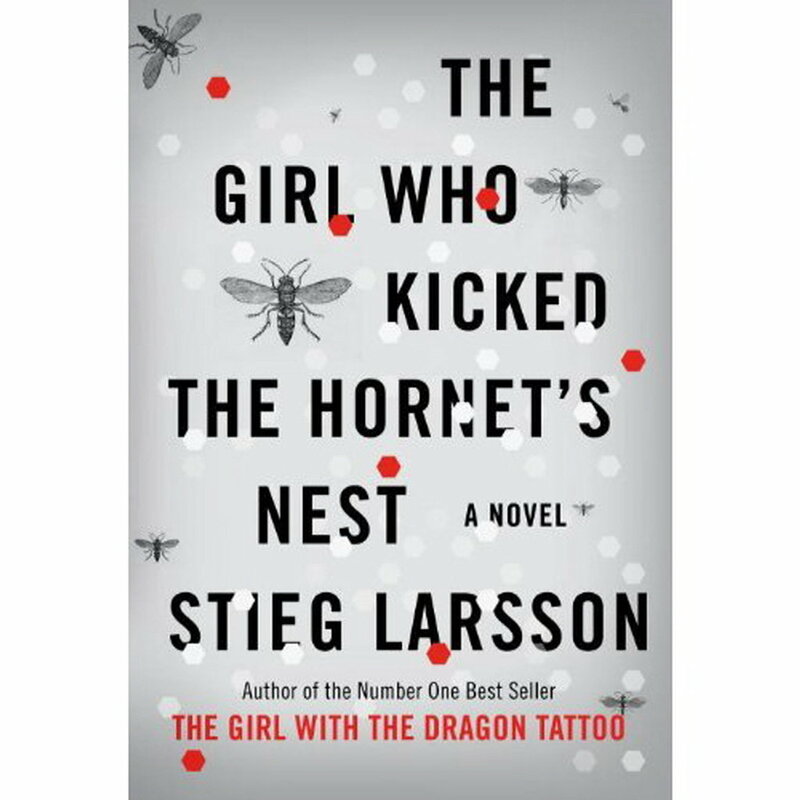 It picks up right where The Girl who Played with Fire left off with Lisbeth going under the knife to remove a bullet from her brain and all the characters facing the fallout from the Zalachenko affair. Lisbeth Salander. I have loved her since the first book. I love her unapologetic (and justified) anger. Actually, I just sort of love the fact that she’s unapologetic about everything she does. She’s original, she’s deep, she’s complex. She’s hands down my favorite character in the book. Larsson really makes his characters come to life as three-dimensional, real people. Full of flaws, all of them are pieces to the puzzle. They are what hold up the book and help it come together. The complexity. Everything is so interwoven and complex, which is also this book’s biggest downfall (as I address later). This book was written with incredible precision, planned incredibly scrupulously. He builds upon his previous two books to create a rich reinvention of reality. It’s such a unique and original series of books! It’s not quite crime fiction, or mystery, or courtroom drama. It’s some transcendent blend of all of these. I haven’t read anything like them before. And I think it’s because of this that the books don’t rely on any cliches of these genres. It’s slow. It’s like wading through mud. I spend the first 100 pages waiting for the pace to pick up, waiting for more to happen, and before I knew it I was 50 pages from the end. It’s riddled with details that I’m not certain matter. But in another sense that’s really why I like it. It all comes together to create a complex and original storyline. This isn’t necessarily a bad point, but the writing style is very straightforward. It’s nothing deeply elegant, but it doesn’t need to be. The story speaks for itself and it doesn’t detract from the book at all. I honestly had a hard time juggling all of the characters and remembering who was who, and what their job was, and who they worked for. There’s a lot going on and it was sometimes just a bit too much for my brain to remember. I think all of the minor characters were what slowed the book down so much. However, at the same time, even the most minor characters played important roles in the plot, but I probably could have lived without knowing all their life stories. These books always have a special place in my heart, and nothing can change that. It’s not a perfect book, but it’s incredibly interesting, and now I’m more excited than ever to finally get the ending to the series. And now that I’ve finally read the book, I’m going to let myself watch the movie. 7.5/10 – It’s slow. It’s not perfect. It’s meticulous. I loved every moment of it despite that though. @snow: I’m gonna miss you! A beautiful concert with these beautiful people in a beautiful hall! Love the ocean as much as I love my friends! !